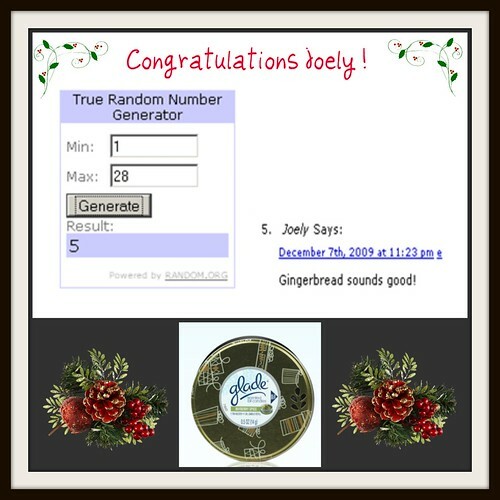 An e-mail has been sent to Joely and she now has 48 hours to respond or another winner will be selected. More giveaways will be coming soon. Be sure to stop by to enter TechyDad’s Sid the Science Kid giveaway. Thank you again to the Family Review Network and SC Johnson Glade for making this giveaway possible for my readers.